The AF1 was a long-term project, in fact, was presented for the first time at the Milan Show in 1985 and immediately caused a sensation for its modern style. 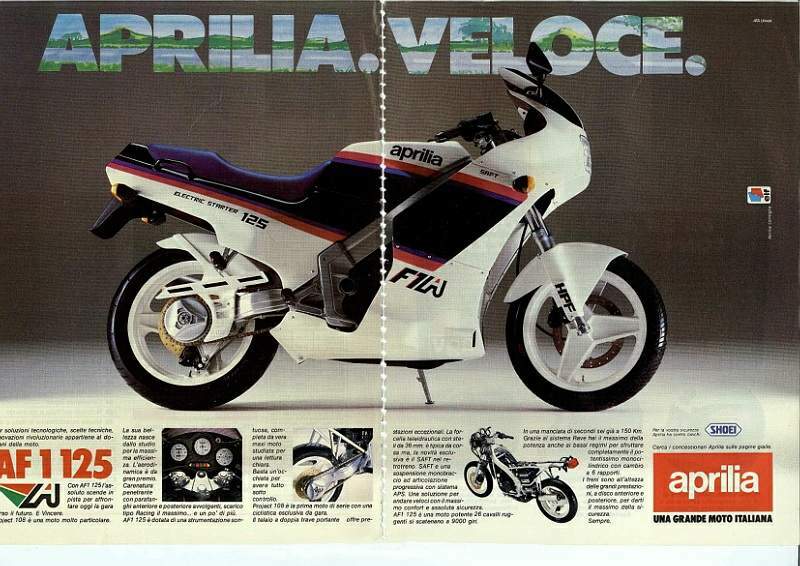 However, Aprilia had other plans for 1986 and therefore chose to renew its range enduro bikes (then very popular) and introducing new models at the same time introducing the AF1, but in a lesser capacity, in the 50cc version. Although dedicated to fourteen year olds, the small AF1 completely revolutionized the industry, becoming for kids of age a daydream. 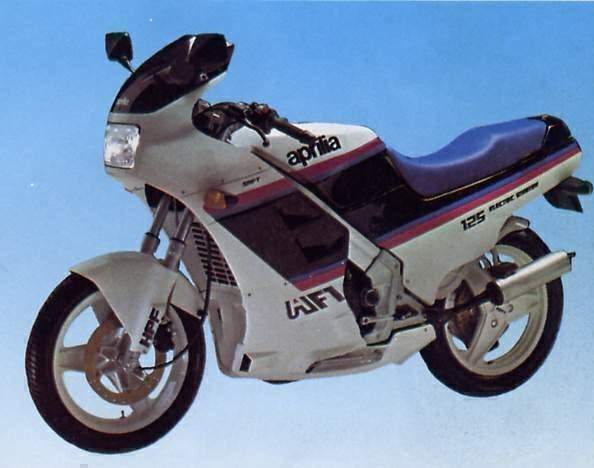 Then the sporty 125 was introduced in 1986. 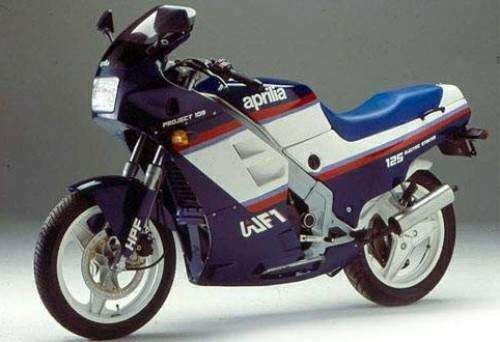 A line of exciting colors specially designed, top-level equipment, technical and performance excellence: these were the only ingredients its new sports bike for 1987. AF1 108 Project shows an aesthetic pleasing bike inspired by Reggiani that runs in the championship colors designed to enhance work of designers. Instrumentation, finally, is the most modern and may have been produced in Japan, most scholars will remember a certain similarity with the instrumentation of some big Japanese producers in those years. Very good electrical controls produced by Italy's CEV. On either side of the fairing inside the fairing where it link up to the frame, is the oil tank for fuel mixture (right side) and the cooling system placed on the opposite side. The triangular central frame houses the air filter box (right side) and the battery on the opposite side. The seat, protected by a lock is removable in a single movement for access to the compartment-tools and documents. The quality of plastics and assemblies is very good and certainly also the painting. Without doubt, over a year of studies on prototypes has paid off.